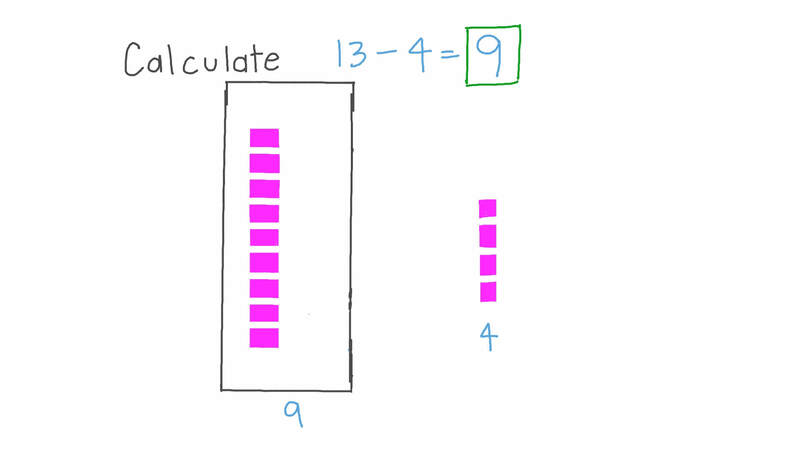 In this lesson, we will learn how to subtract a one-digit number from a two-digit number by decomposing a ten into ones. This is a subtraction machine. 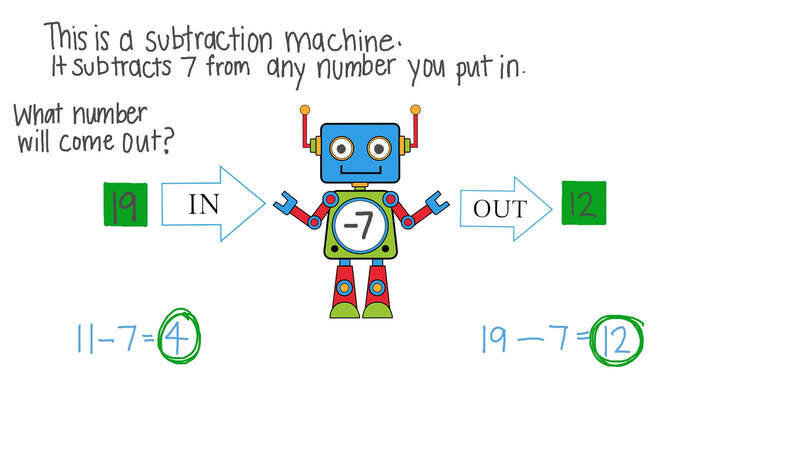 It subtracts 7 from any number you put in. What number will come out? Calculate 1 3 − 4 . 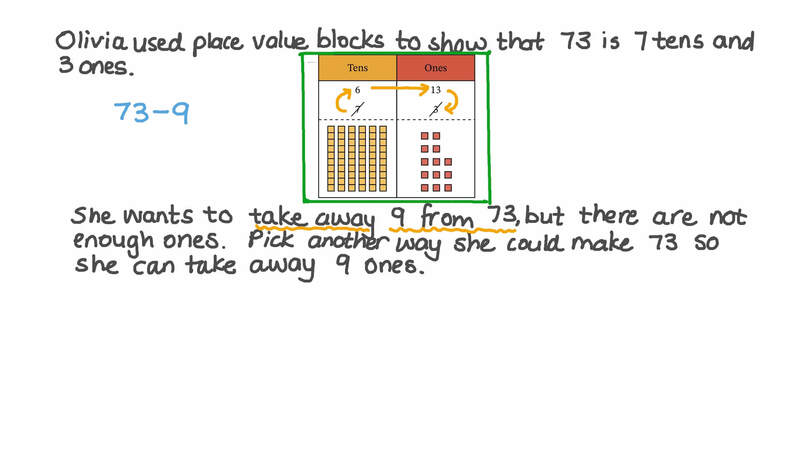 Olivia used place value blocks to show that 73 is 7 tens and 3 ones. She wants to take away 9 from 73, but there are not enough ones. Pick another way she could make 73 so she can take away 9 ones. Take away 9 ones to find 7 3 − 9 . A man had 30 LE and he bought a sandwich for 8 LE. How much money does he have left? A car park has 41 spaces. Two spaces are taken. How many are left?